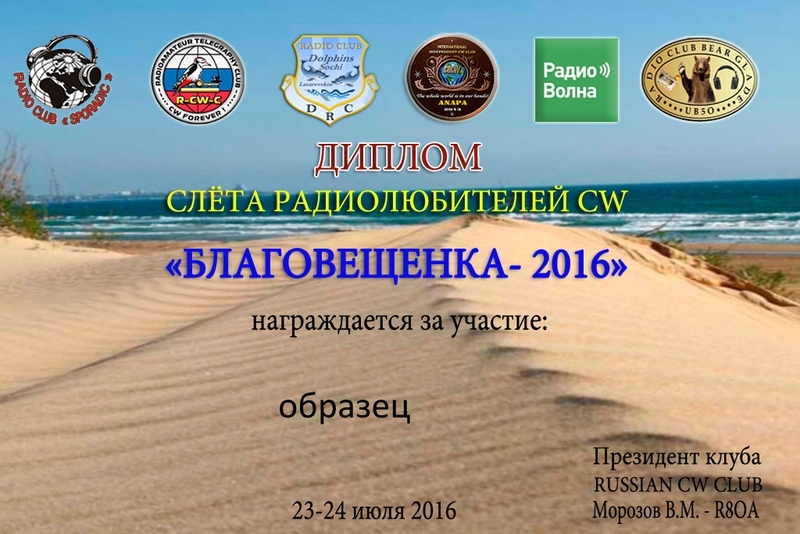 4th annual meeting of the Russian CW Club members will happen from 23rd of July2016 till 2nd of August 2016. The Black Sea coast, close to Blagoveshchenskaya resort village, is location of the event. Everybody is welcome to join the meeting. You may guide the exact position by means of following link. Following amateur radio Club's representatives will participate during the event: CQ-CW; DRC; Sporadic; Radio Wave; BEAR GLADE. R16CWC special call sign will have been sounding on all HF bands for the time of the event. You may guide RCWC.net website for more information.